The age of digital music—the first MP3 player called the MPMan was launched in 1997—meant we were consigned to listening to low-quality digital recordings on low-quality headphones. 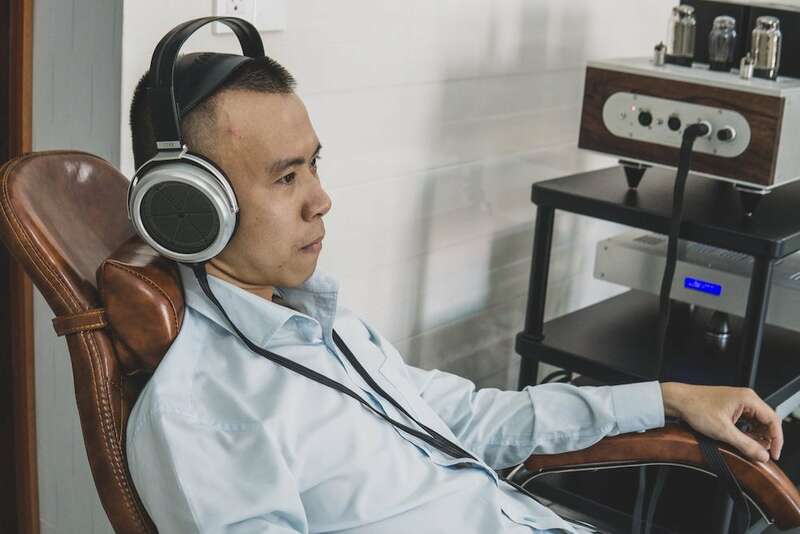 “But try this,” Leptoni Audio’s Phuong Pham says confidently, passing us a heavy pair of Audeze headphones, “it’s the nearest you can get to being at a live concert.” Then he waits to watch our expression change as the rich vocals interrupt the song’s slowly building intro. It really is like being at a concert, but not at the kind of show put on in a cavernous stadium—it’s like being in front of the stage in an intimate club. 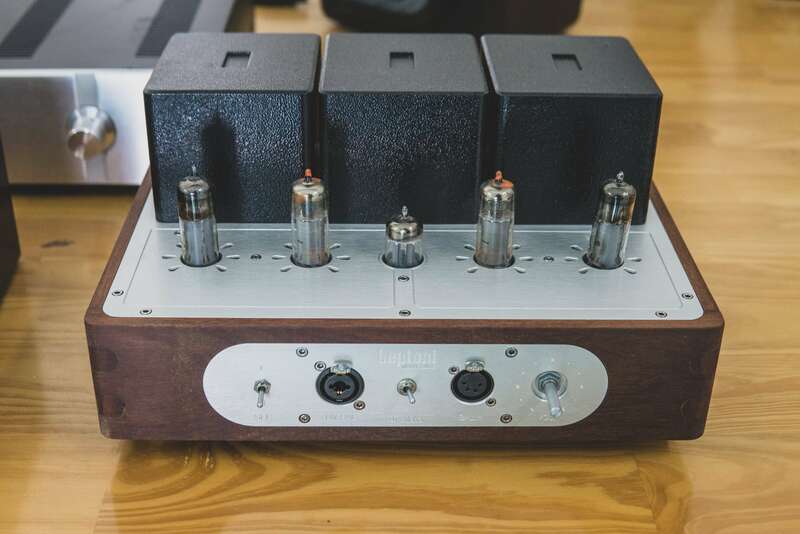 How did a local company like Leptoni begin building amplifiers like these? Leptoni Audio was founded by Dinh Thuy in 2015. 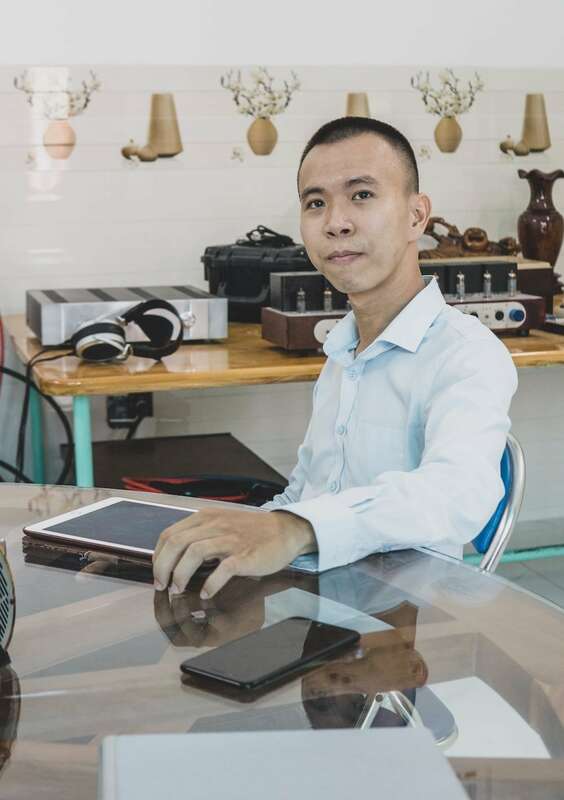 He’s an engineer who has won awards for building amplifiers: first prize at the SUMO Contest 2011; winner of Hanoi’s Phono Pre Amplifier Festival in 2018. He’s a genius at building speakers amplifiers. Now, he’s based in Vung Tau where the peace and tranquility help him to focus on obsessively building headphones amplifiers for Leptoni. “Try this, it’s the nearest you can get to being at a live concert” – Leptoni Audio’s Phuong Pham says confidently. And how did your connection to high-end audio equipment happen? Long ago, when I worked in Vienna, Austria I attended a classical concert at the Grosser Musikvereinssaal. It’s a very beautiful venue that’s also really acoustically pleasing. And that concert had a lasting impact on me. But coming back to Vietnam, there wasn’t the same culture of live music and I missed it. But a good pair of headphones and tube amps like these recreate the warmth and richness of a live show. Now I have a collection of headphones, from a few hundred up to a few thousand dollars, each with its own character. And I have three of our Leptoni amps at our listening room here in Binh Chanh—the entry-level Leptoni DT-Alpha, the Leptoni DT-HWT Head Amp, and the Leptoni DT-Reference Head Amp/Power Amp. The feeling of listening to music on setups like these almost defies words. We’re working with companies to set up listening rooms in their offices, which provide staff with this almost meditational space where they’re alone and immersed in music. Can you tell us more about how Leptoni Audio was founded? As a music lover, I questioned whether recorded music could ever recreate the naturalness and the warmth of a live show. I attended lots of exhibitions and conventions and discovered elaborate speaker setups—but then I began to believe that it might also be possible to get the same quality sound using headphones. I felt this experience should be shared by more people and approached master Dinh Thuy. He was already well known for making uncompromising amplifiers. Luckily, I persuaded him to apply his knowledge into crafting the finest hand-built headphone amplifiers. Why do you only focus on making the amplifiers? And why headphones and not speakers? 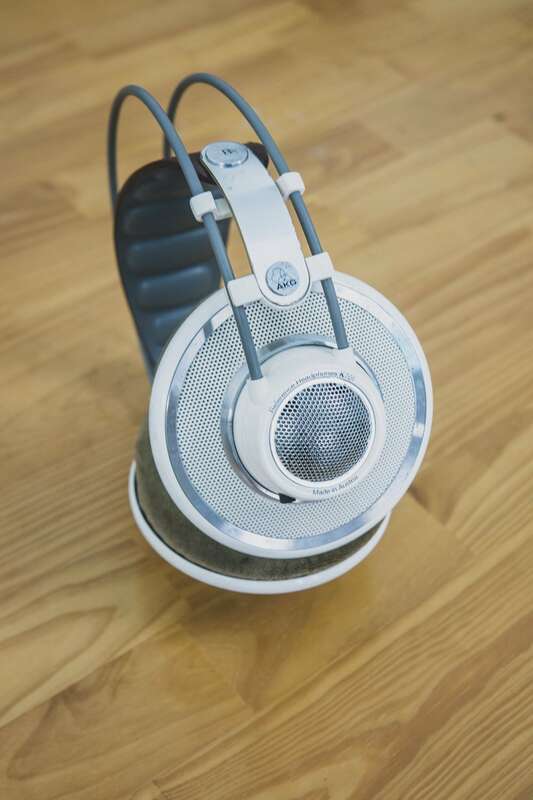 Headphones offer music lovers the unique opportunity to experience an intimate, captivating and stunning listening session for a fraction of the price of a standard speaker setup. A speaker setup would also require a room with the right acoustics, plus the tolerance of your partner and neighbours or any sleeping children in the vicinity. The speaker market has lots of competitors making high-end equipment. It would be very hard to break into that market. Conversely, the kind of amplifiers we make for high-end headphones are still not very common—and the look and feel of our products is pretty unique. it takes a few moments for the sound to sink in, but when it does it’s revelatory. You have one song and one set-up to convert someone new to listening to music your way. What do you choose? I would play them the American singer Jennifer Warnes’ version of Famous Blue Raincoat on a pair of STAX SR-009 headphones with our DT-Reference tube-amp. Also, we stream music using Tidal rather than Spotify. Tidal launched as a way to listen to lossless high-fidelity audio—when music is compressed into an MP3 file lots of elements of the songs are discarded as unnecessary in order to make the files smaller, even though many people can recognize the reduction in sound quality. I think you can clearly hear the difference on this set up between listening to Tidal’s CD quality and Spotify’s 320kbps option. What’s the most common response when you introduce someone to using your equipment for the first time? Everyone experiences headphones differently; auditory experiences are very individual. Just like fine dining, you can read and talk about it, but nothing can replace the personal first-hand experience of it. The expression you had is common. Because this is music, it’s less immediate than seeing a 4K TV for the first time for example. So, it takes a few moments for the sound to sink in, but when it does it’s revelatory. People underestimate what headphones and a setup like this can do. Who is your current customer base, and how do you see that changing in the near future? It’s still a niche market. Our customer segment is mostly audiophiles that don’t have a proper room where they can setup speakers—or because they don’t want to disturb anyone while they’re enjoying their music. But I think more and more entrepreneurs and creatives who are looking for better work-life balance will find the value in this. What’s the greatest album or song of all time? Personally, I think it’s the Lágrimas Negras album released in 2003 by Cuban pianist Bebo Valdés and Spanish flamenco singer Diego El Cigala. And why do you think music has been so integral to people’s lives for as long as we can remember? I don’t think music, but I feel it—and I bet you do too. Music is a shortcut to mindfulness. It’s like having a therapist and her name is music. Who should we speak to next? Why? Speak to the people at Ba Lành. They are connecting indigenous agriculture and sustainably grown food harvested by smallholder farmers across the country.